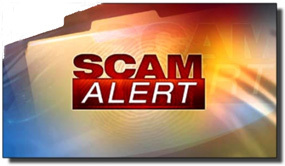 Scam alert: Be on the lookout for fraudulent income tax-related emails! Well, we all have our favorite time of the year, and for many scammers and crooks that happens to be income tax season. Every January legions of scammers start sending out fraudulent emails designed to trick and take advantage of all the tax filers. These emails typically attempt to steal the recipient’s banking login information and/or download malware onto their devices that then use the devices to transfer money directly from the victims’ bank accounts into the scammers’ accounts. And the danger always increases in the first half of April because so many people are in a panic to get their tax returns finished in time that they let their guard down. According to this recent study by security research firm Security Intelligence, this year’s crop of fraudulent emails are more authentic looking than ever. The scammers are successfully spoofing three of the biggest accounting firms, human resources services and payroll companies operating in the U.S., and people are having their bank accounts completely drained as a result. As I’ve mentioned many times before, it’s a bad idea to click the links or open the attachments in ANY email regardless of how authentic it looks unless you are 100% absolutely and positively sure that it was actually sent by a firm that you do business with. You need to be especially wary of emails that contain forms of any kind or attached Word documents, but ANY tax-related email should be considered dangerous until proven otherwise. Bottom line: If you receive a tax-related email that you believe to be genuine, don’t click any links or open any attachments until you have called the company at their official phone number or contacted them via their real website to verify that the email is legit. The stakes are higher than ever this year because the scammers are getting so much better at their malicious activities. Don’t allow yourself to become a victim!